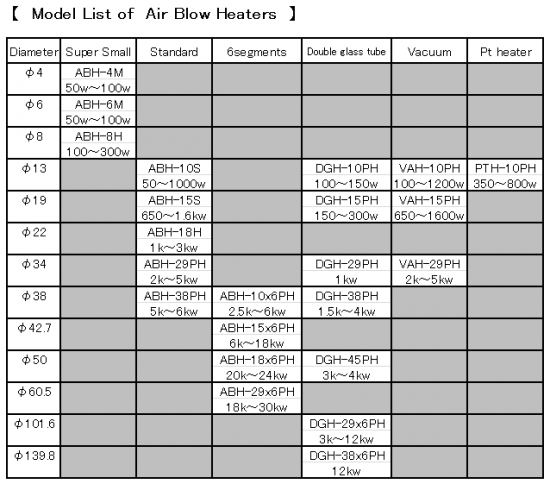 ◎ This heater eliminated output of contamination to the limit. 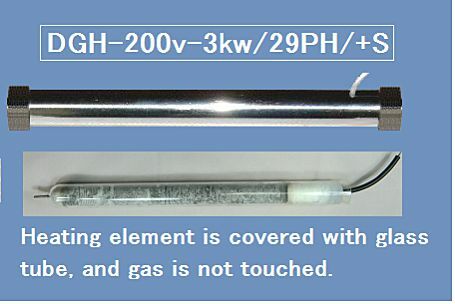 ◎ Because the heating element and the sensor do not touch gas, it is applicable also to heating of vapor or low-concentration corrosive gas. 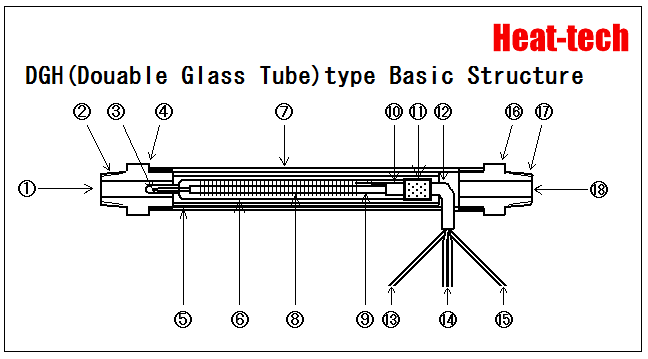 ○ The gas flow is heated indirectly in the gap of the outer glass tube and the inner glass tube. 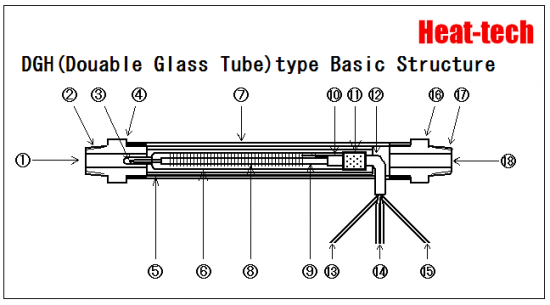 △ The limit of this heater is an operating condition of heat-resisting rubber (Viton, Silicon). X We are not recommend for heating of fluids containing residual material within the heater. 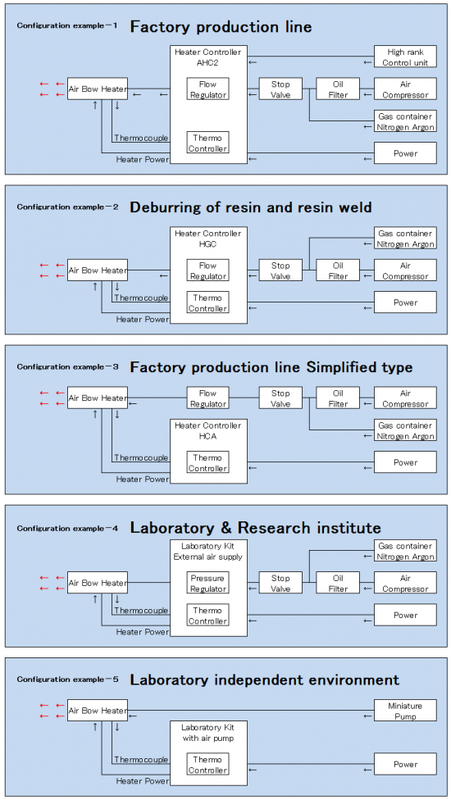 ◆ Output in a short time 500℃ hot air. 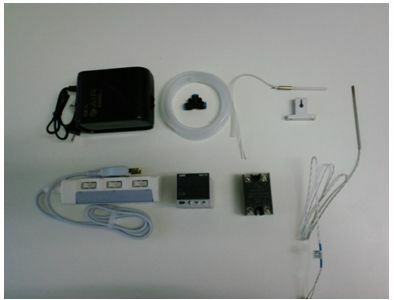 ◆ Builtin a thermocouple in a hot-air output unit, can easily control temperature. 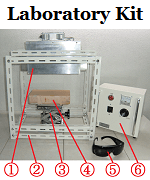 ◆ Directly heated nitrogen can be used in the experiment of anaerobic microorganisms. ◆ Safe, Clean and just blow with electric heating and gas supply, fire flame will not come out. 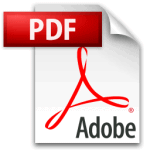 ◆ The DGH can be manufactured in a range of 100w – 12kw. ◆ Outside diameter 13-140mm, DGH is compact.